TOKYO/SEOUL/BEIJING (NYTIMES/AFP/REUTERS/WASHINGTON POST) - Nuclear-armed North Korea fired a ballistic missile over northern Japan on Tuesday (Aug 29) in a major escalation by Pyongyang amid tensions over its weapons ambitions. The United Nations Security Council would meet later on Tuesday to discuss the test, diplomats said. Earlier this month, the 15-member Security Council unanimously imposed new sanctions on North Korea in response to two intercontintental ballistic missile (ICBM) launches in July. 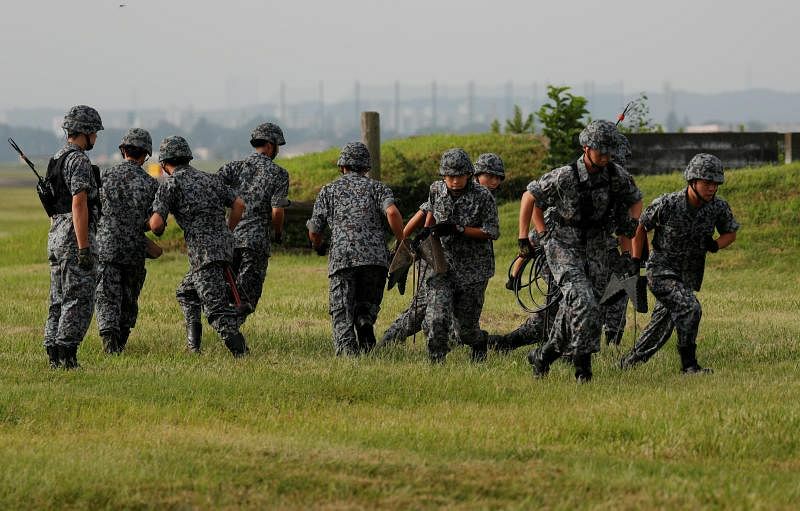 “This is a much more dangerous style of test,” said Abraham Denmark, director of the Asia programme at the Wilson Center and a former top East Asia official at the Pentagon. North Korea’s recent missile tests had been carefully calibrated to go nearly straight up and land in the sea between the Korean Peninsula and Japan, rather than overflying Japan. “North Korean missiles have a habit of breaking apart in flight, so if this happened and parts of it landed in Japan, even if it was not North Korea’s intention, this would amount to a de facto attack on Japan,” Denmark said. Japan's Prime Minister Shinzo Abe denounced the move as an "unprecedented, serious and grave threat", and urged the United Nations to strengthen pressure on Pyongyang. Abe held phone discussions with US President Donald Trump over North Korea's latest provocation. The leaders agreed to step pressure on the North. At the request of the US, Japan and South Korea, the United Nations Security Council (UNSC) will hold an emergency meeting on Tuesday to discuss North Korea's latest ballistic missile launch. Trump said that the United States was “100 per cent with Japan” and he showed a strong commitment to Tokyo’s defence, Abe told reporters. Both leaders agreed to increase pressure on Pyongyang. Pyongyang's latest provocation came days after Japan imposed unilateral sanctions on the islolated regime. North Korea remained defiant. “The US should know that it can neither browbeat the DPRK with any economic sanctions and military threats and blackmail nor make the DPRK flinch from the road chosen by itself,” North Korea’s official Rodong Sinmun said later on Tuesday, using the initials of the North’s official name, the Democratic People’s Republic of Korea. South Korea President Moon Jae In ordered a show of 'overwhelming' force against North Korea's latest provocation and the presidential Blue House said on Tuesday (Aug 29) the US is considering deploying 'strategic' defence capabilities to the Korean peninsula. General Jeong Kyeong Doo, chairman of South Korea's Joint Chiefs of Staff, and his American counterpart General Joseph Dunford agreed to take related measures at the earliest possible date, which apparently include the temporary dispatch of US strategic assets like long-range bombers to the Korea peninsula, reported Yonhap. The United Nations Security Council will hold a meeting to discuss North Korea’s firing of a missile over Japan. China on Tuesday called for restraint from all sides while Russia said it was “extremely worried” about the situation in North Korea, hitting out at a “tendency towards an escalation”. Japanese public broadcaster NHK reported the missile was fired at around 5.58 am local time on Tuesday, broke into three pieces and fell into the waters off Hokkaido at around 6.12am. Kobe University security expert Tosh Minohara told The Straits Times the "scary" fact was how the missile had split into three, which could mean either of two things: (i) it was a rocket failure; or more seriously; (ii) it was a multiple independently targetable reentry vehicle (MIRV). The latter refers to a ballistic missile comprising several warheads, with each capable of being aimed at different targets. 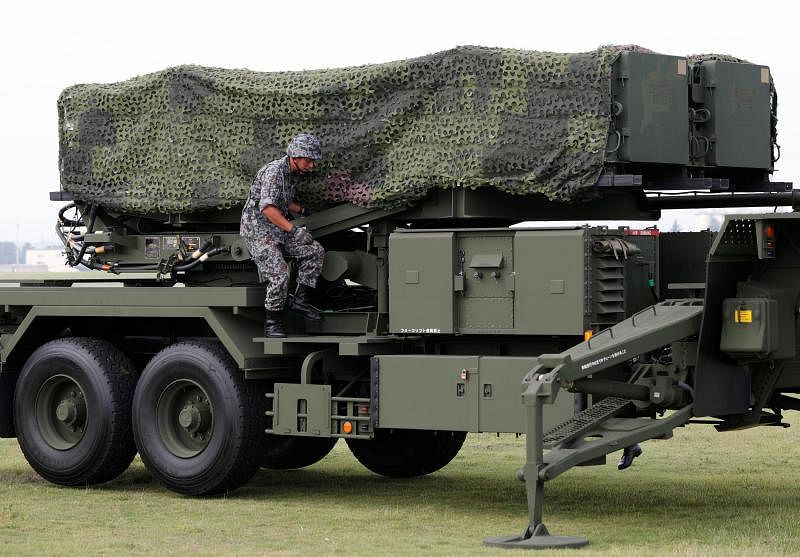 Japan’s defence minister said Tuesday's missile likely the same type of intermediate range ballistic missile it fired in May and had threatened to launch at the US Pacific island territory of Guam. “The missile reached an altitude of 550 kilometres,”Minister of Defence Itsunori Onodera told reporters. In May, North Korea fired a new strategic ballistic missile called the Hwasong-12 towards Japan on a lofted trajectory that reached an altitude of 2,111.5 km. Fired at a standard trajectory, it would have a range of at least 4,000 km, experts say. The Pentagon said it did not pose a threat to North America. It was the second time in four days that the North Korean authorities, defying an escalation in international sanctions and warnings from US President Donald Trump, had launched a missile. Three short-range missiles were launched on Saturday (Aug 26). Residents in Hokkaido posted videos of the siren announcements on social media. Japanese military aircraft and ships headed to the landing site on Tuesday morning to try to recover debris from the missile, which could yield important information about its technical capabilities. Japan’s top government spokesman said there was no report of damage to aircrafts and vessels in the area. “So far no fallen objects have been confirmed to have fallen inside Japanese territory,” Chief Cabinet Secretary Yoshihide Suga told an emergency press briefing. It was the first time a North Korean projectile had crossed over Japan since North Korea launched a rocket over Japan in 1998, and again in 2009 carrying what the North claimed was a satellite payload. “It’s pretty unusual,” said Jeffrey Lewis, head of the East Asia Non-proliferation Programme at the Middlebury Institute of Strategic Studies in California. The firing comes days after Pyongyang launched three short-range missiles in what was seen as a minimal provocation after the start on Aug 21 of the Ulchi Freedom Guardian South Korean-US joint military exercises. But Tuesday's flight path represents a significant escalation by Pyongyang. When it carried out its ICBM tests last month - which leader Kim Jong Un described as a "gift" to "American bastards" - it fired them on lofted trajectories that avoided travelling over Japan. But any launch towards Guam such flights would have to pass over the Asian island nation. When Pyongyang carried out its first two successful tests of an intercontinental ballistic missile (ICBM) last month it fired them on lofted trajectories that avoided travelling over the Asian island nation. Japan has in the past vowed to shoot down North Korean missiles or rockets that threaten to hit its territory, and deployed its Patriot missile defence system in response to the Guam threat, reports and officials said, with an Aegis destroyer also stationed in the Sea of Japan (East Sea). In 2009, a North Korean rocket passed over Japanese territory without incident, triggering Japan's immediate denouncement. At the time North Korea said it was launching a telecommunications satellite, but Washington, Seoul and Tokyo believed Pyongyang was testing an ICBM.